Tell Congress: Support the CORE Act! It's time to change the way we support and improve our nation's public schools. Senators Jack Reed and Sherrod Brown, along with Congresswoman Marcia Fudge, have introduced The CORE Act, a bill that would ensure every student has access to essential school resources like small class sizes, college counselors, up-to-date textbooks and well-trained teachers. If we're going to have common achievement standards, it make sense to have common resource standards. 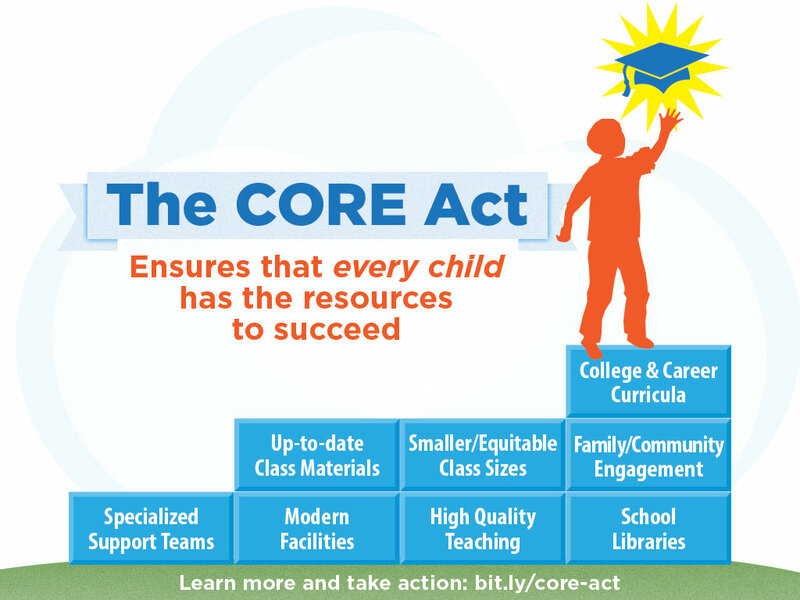 Tell your members of Congress to support the Core Opportunity Resources for Equity and Excellence (CORE) Act!